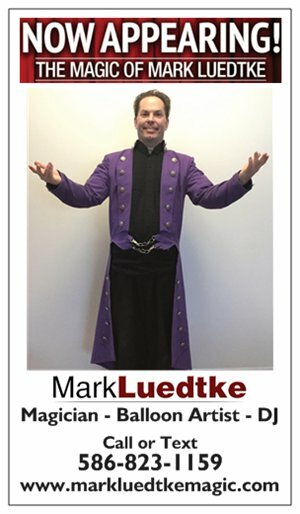 Magic of Mark Luedtke: Welcome to my Site! Here you will find everything you need to know about the magic that Mark does and the entertainment Mark can provide for your event. Please use the tabs above to navigate around. Thank You for stopping by to visit. "Mark is a wonderful entertainer, he engaged the older "cool kids" and had everyone laughing from the start. Mark was very punctual both before we hired him in responding to questions, and at the day of the show. I would highly recommend his services; important to understand his show is all about getting groups involved, and making the kids laugh." "Definitely the BEST magician in the universe! I don't think I can ever find somebody like Mark. The kids loved them, the parents did, we did, and our son did! He's only one but he was so focused watching Mark as he performs magic and makes balloons. Mark is a very nice guy, very professional, and really really great at what he does. Highly recommended! 100%"